We have no doubt that if you’re attending Comic Con in San Diego this year you’ve already got some big plans made for how to spend your time. 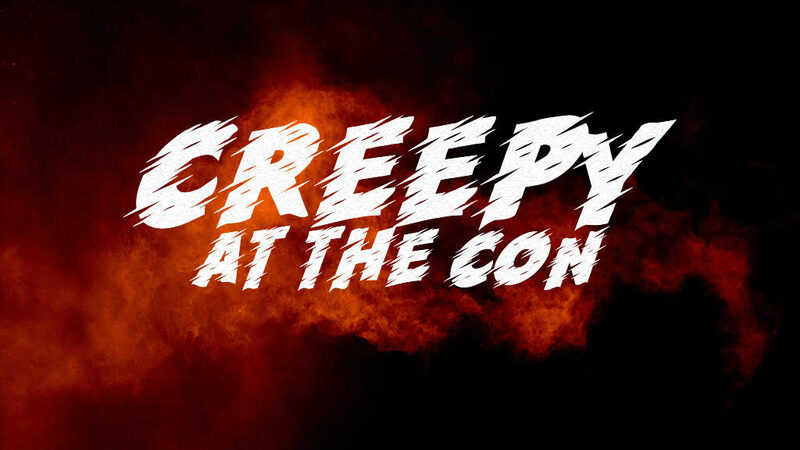 Here’s just a glimpse of the spooky side of the panels, activations and other goings-on this weekend that we have on our to-do list! Expect To See: Footage from the company’s upcoming 2018–2019 horror film releases and hear from the filmmakers. A must-see for fans of The Walking Dead and Fear The Walking Dead with lots of photo opps. Visit the ‘unluckiest town on Earth’ in this multi-room experience. Featuring the ‘LEGION CHAMBER’ art installation, ‘AHS Eccentricities Collection’ AR experience, ‘FX 3D Me’, and more! Includes a VR & AR experience! Send a message to outer space! This Escape Room works in reverse. If you succeed, you’ll complete the confirmation ritual and become a member of The Community. There’s also a VR experience on site. Expect To See: Director Shane Black (Iron Man 3), cast members, Olivia Munn, Sterling K. Brown, Keegan-Michael Key, Trevante Rhodes, Jake Busey, Yvonne Strahovski, Thomas Jane and Augusto Aguiliera. The Predator is out September 14th via 20th Century Fox! Expect To See: Kelly Overton, Jonathan Scarfe, Vincent Gale, Aleks Paunovic, Rukiya Bernard, Trezzo Mahoro, Neil LaBute, Mike Frislev and Chad Oakes. Expect To See: Colman Domingo, Alycia Debnam-Carey, Lennie James, Danay Garcia, Garret Dillahunt, Maggie Grace and Jenna Elfman, along with Executive Producers and showrunners Andrew Chambliss and Ian Goldberg, and executive producers Scott M. Gimple, Robert Kirkman, Gale Anne Hurd, Greg Nicotero and David Alpert. Moderated by Yvette Nicole Brown. Expect To See: Andrew Lincoln, Norman Reedus, Lauren Cohan, Danai Gurira, Melissa McBride and Jeffrey Dean Morgan, along with executive producer and showrunner Angela Kang, executive producers Scott M. Gimple, Robert Kirkman, Gale Anne Hurd, David Alpert and executive producer, director and special effects make- up supervisor Greg Nicotero. The panel will be moderated by Yvette Nicole Brown. Expect To See: Dominic Cooper, Ruth Negga and Joseph Gilgun, along with executive producer and showrunner Sam Catlin and executive producers Seth Rogen and Evan Goldberg. Food, live music, genre cocktails, and much more!